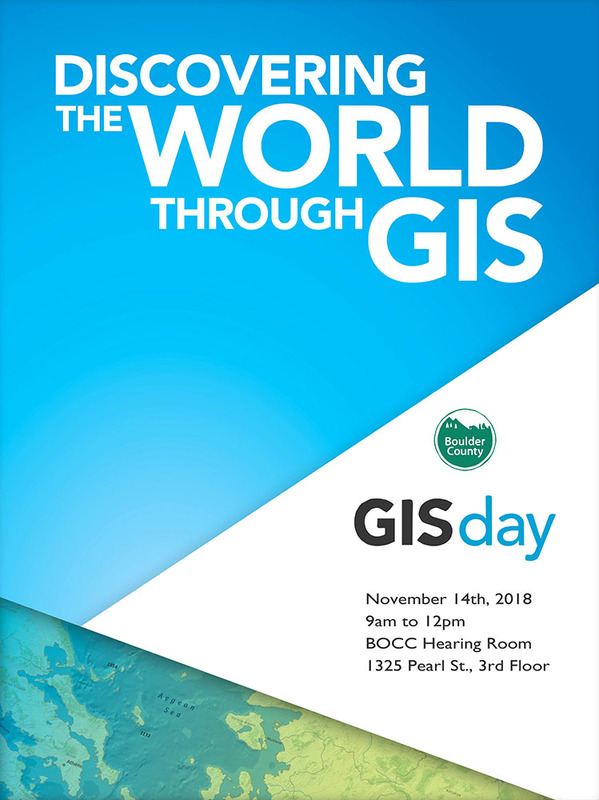 GIS Day is part of Geography Awareness Week. Each year more than 100,000 Americans actively participate in Geography Awareness Week. Established by presidential proclamation more than 25 years ago, this annual public awareness program encourages citizens young and old to think and learn about the significance of place and how we affect and are affected by it. Each third week of November, students, families and community members focus on the importance of geography by hosting events; using lessons, games, and challenges in the classroom; and often meeting with policymakers and business leaders. Learn more about GIS in Boulder County.